Our team recently served Westside Community Church in Beaverton, Oregon with a strategic planning retreat. As we got to know their team, we were impressed by this church’s foresight in succession planning — something we see few churches doing well. 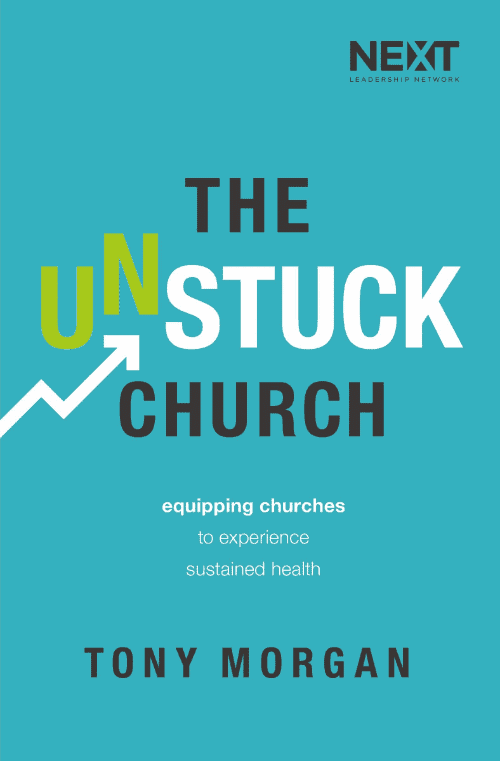 I asked pastors Ken Wooten and Gabe Kolstad to share how they made a plan to ensure the health of their church through a dramatic shift in ministry strategy and in future seasons of transition. TONY: When did you start preparing for the transition in leadership? What prompted you to begin that process? KEN: I had been lead pastor for 23 years when my son-in-law, Gabe, and my daughter, Melissa, came to the church. I wanted the church to go beyond me. About that time I knew we needed to change to reach the younger people and not just the older. The first move we made was a trip to Saddleback Church and we read The Purpose Driven Church. Gabe and I began working together to change from the old traditional ways to focusing on strategies to reach young new families. Gabe was willing to learn from me and I was willing to learn from him. I never treated him as inferior–we were a team. We had the same heart! TONY: How did you prepare the church for this transition? KEN: We began team teaching; Gabe began doing all the baptisms. We started small groups and Gabe and Melissa taught one of them. We changed the music from traditional hymns to a more contemporary worship style. Gabe was a great leader; I could step back and just give guidance. After 23 years as lead pastor, I was established and had favor with the people. TONY: Gabe, talk about the season when you were at the church, but not the leader. What did you learn during that season? GABE: I was at the church for nine years serving under Ken’s leadership. It was a time of change and experimenting as we were seeking to turn the church around. I learned that nothing happens as fast as I want it to. I learned that Ken had a much better sense of timing than I did, and that his patience saved us from many problems. I also learned how to honor Ken even if I disagreed with a particular decision or direction. Most importantly, I learned how to work with him, not just for him. I put all my energy into making him successful, and helping build a bridge between what we were doing then and what we would be doing in the future. TONY: What are the things that Ken did along the way, either intentional or unintentional, that helped make the transition so smooth? GABE: Ken is really a master at this. For starters, he handed me some really significant, public roles that were symbolic in many ways. For instance, he let me start baptizing everybody right away. That may not seem like a big deal at first glance, but he was previously the only person baptizing in our church for decades. The other thing that helped immensely was that we shared stage time and leadership decisions, and those things ramped up as the transition got closer. He even got me involved with our Trustee Team. Looking back, I think it really revolves around the word TRUST. He genuinely trusted me, and he let everybody know it. TONY: Ken, what are the things that Gabe did along the way that helped you make this transition? KEN: First of all, he had a willing spirit and a desire to please the Lord and see the work go forward. He was really easy to mentor and teach. He didn’t come with all the answers; he was willing to learn, along with me. Gabe was as committed to me as I was to him, for the long haul. There was not a jealous bone in either of us. We had a kindred Spirit and we really learned to love one another. TONY: It appears that Ken was willing to make some of the more difficult changes so that you didn’t have to face them as the new lead pastor. Is that correct? If so, can you share a couple of significant examples? GABE: Yes! Ken emptied his pockets for me more than one time! 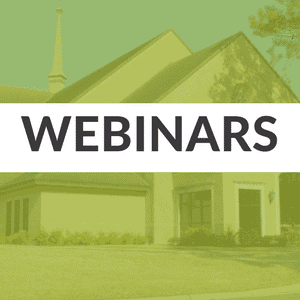 Under his leadership we changed our worship style, we tackled the Bible version issue (which happened to be a big deal for our church back then), we remodeled and renamed the church, we rewrote our bylaws, and more. Even on the things where I was running the strategy, he was willing to be out front taking the arrows. That’s the only way it would have worked, since he had so much time and leadership credibility built up. He cashed it in on my behalf, and I’ll forever be grateful. TONY: Do you think about your succession? If so, what are you doing now to prepare for that in the future? GABE: Hey now, I still like to think of myself in my mid-thirties (even though I’m 41). Truthfully, yes, I’m starting to think about this more and more. Ultimately I want the church to thrive without my physical presence. I think that means setting a culture where lots of leaders are welcome to play. That means training and trusting the right people to carry out the ministry. That kind of thing also requires having a really solid footing so we don’t get off track when someone else has the steering wheel, even if it’s only for a week or two. The biggest question on my mind as it relates to our future sustainability is, how will we attract and develop world-class leaders so we can keep multiplying? In practical terms, I’m trying to share the teaching load more, push decisions out as far as they can go, and work like crazy to make our vision clear and compelling.